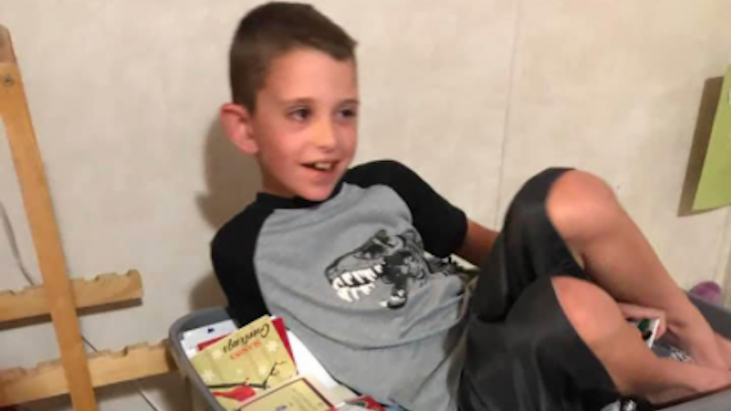 At the beginning of the month, an 8-year-old boy from Louisiana named Drake Quibodeaux wished for some Christmas cards, for what may be his last Christmas. Drake has a rare form of brain cancer called Diffuse Intrinsic Pontine Glioma (DIPG), that has a very poor prognosis. Last week, Drake’s family got news that his cancer was growing. A family friend took to Facebook to ask people to send him cards to make this Christmas as special as possible. They didn’t expect so many people to respond. Drake has gotten thousands of cards, from as far as Florida, California – even Canada! Some people are even sending gifts and money. DIPG is a tumor that starts in the brain stem, there’s currently no cure, according to St. Jude Children’s Research Hospital. This type of tumor is most common in children ages 5 to 10, though they can occur at any age. Surgery is rarely used when treating DIPG due to extensive risks when operating on that part of the brain, so the disease is typically treated with a combination of radiation and chemotherapy. There are currently multiple trials underway across the country looking at ways to improve the survival rates for kids diagnosed with DIPG. That’s why cards and prayers from people throughout the country, and the world, mean so much to the Quibodeaux family. Drake even received a card from the White House, and was given tickets to the Fiesta Bowl, to watch his favorite football team, the LSU Tigers, play in Arizona.